The DC Vinimates line is off to a racing start with this Reverse Flash Vinimate Vinyl Figure! Sculpted in the block-figure style, this 4-inch, pre-posed vinyl figure features Reverse Flash in his iconic suit from the CW's TV show. Add him to the previously released Flash TV Series figures (sold separately) for the ultimate Vinimate collection! 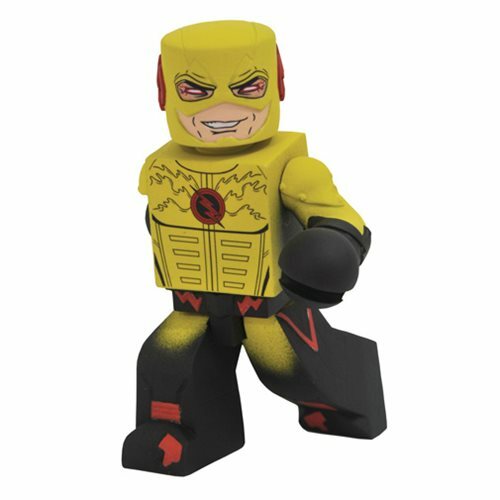 This Flash TV Series Reverse Flash Vinimate Vinyl Figure comes packaged in a full-color window box. Ages13 and up.